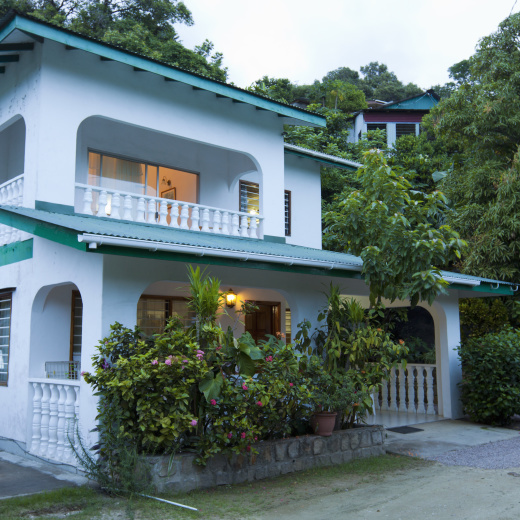 Located only 5 minutes from the International Airport, Le Manglier guesthouse is the perfect place if you’re looking to do some island hopping (e.g. Mahe/Praslin/La Digue) or if you’re a day or two away from your connecting flight back home. Simply kick back and relax and let our friendly staff take care of your every need. Our comfortable rooms offer a great night’s sleep with your own private bathroom and air conditioning and we offer tasty home cooked meals on a B&B or half board basis. -	Pick up at arrival point (from the jetty or airport) on Mahe. Your friendly and reliable Seychellois hostess, Lyra, is on hand to ensure that your stay at Le Manglier is one to remember! Our very attractive and competitive package rates offer superb value for money.